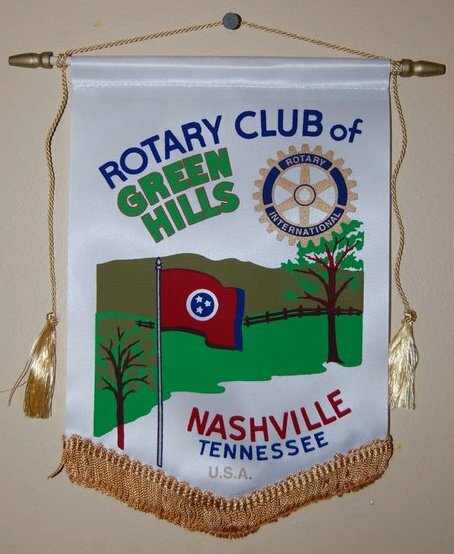 My opportunity to study in Australia and serve as a Rotary Ambassadorial Scholar (RAS) would not be possible without the Rotary Club of Green Hills (RCGH) in Nashville, TN. After being sponsored by the RCGH club at the local level, I had to fill out an extensive RAS application and compete at the district level. At the district level, my application was reviewed and I was asked to come in for an interview. If you’ve read the headline of my blog, you know the result! 😉 The entire process was exciting and nerve-wracking but it would have never happened if not for a chance encounter with a lovely lady named Chase. Chase reached out to her friend Beth of RCGH to see when the deadline would be to apply and I was fortunate enough to turn in my application in the nick of time. They were so gracious to choose me and Brian Neal was asked to be my mentor as he is a former Rotary Ambassadorial Scholar. I can’t say enough wonderful things about Brian which is why I will save the next blog post to be all about him! RCGH was established in 1988 and has been serving the people of Nashville and beyond. The club includes local leaders in education, retail, manufacturing, and service professions. The club is made up of men and women who are attached to the principle of service before self, and who embrace the four-way test– truth, fairness, goodwill, and beneficial community action– as a way of life. They value diversity, fellowship, and service. What is there not to love about RCGH! I truly believe that the chance meeting with Chase was life changing. I am so thankful that I decided to go ahead and apply. When presented with any opportunity, see the positive things that could happen instead of the negative. You’ll start feeling much better and you may get exactly what you wished for! 🙂 Thank you RCGH for letting me represent you while I am in Australia. Below is the RCGH’s banner! I will be giving one of these to each Rotary Club that I speak to in Australia. 🙂 My first presentation will be given on February 12th. Wish me luck! So true! That’s why when an opportunity comes along, you have to be ready and be prepared for it! So always be ready!